We are looking to fill an entry level position. Therefore, we expect 15 years experience. We are looking to fill an entry level position. 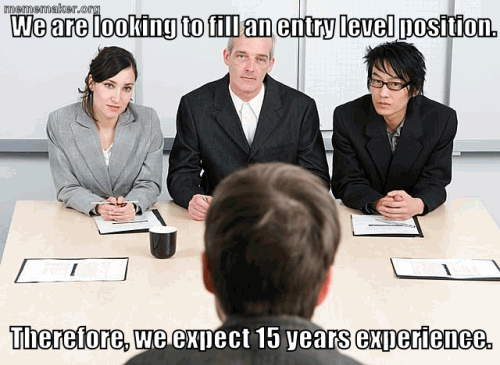 Therefore, we expect 15 years experience.